We want a word with you, Ms. Gaboury! 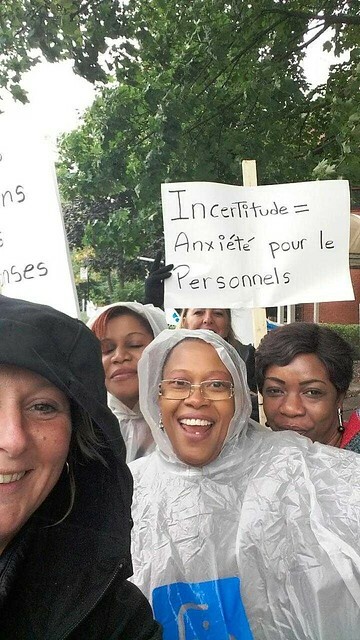 Nurses and licensed practical nurses from the CHSLD Providence Notre-Dame de lourdes in Montreal and members of the Alliance Interprofessionnelle de Montréal (AIM) (FIQP), demonstrated last Monday in order to get the attention of the institution’s CEO. Health Minister Gaétan Barrette announced the closing of the CHSLD on August 17 and healthcare professionals still don’t know what will happen to their jobs or how patients will be transferred.